Recover are a team of pediatric orthopedics. Website: Address: Strada Măgura Vulturului Phone: 0723 652 335; 031 807 34 31. Doctor Gabriela Cozmanciuc is a specialist in pediatric cardiology and holds clinics at Regina Maria and IniMed. Dr Alin Nicolescu is a specialist in pediatric cardiology. 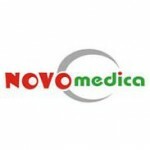 He has consultations at Regina Maria, Sanador, MedLife and Monza Hospital Cardio Centre. Annette Pennington, Joanna Kenney and 4 others like this. love the toilet and used it several time. last time we needed a toilet at Billa and they didn't let Sara go to the toilet,she we left without buying anything. Jane Conway, Silvia Schernthaner-Leitner and 1 other like this.